Sir Peter Scott travelled all over the world. Wherever he went he kept a journal in words and pictures. This volume traverses Australia, New Zealand, New Guinea, Africa, the Galapgos Islands, Antarctica and the Falkland Islands. 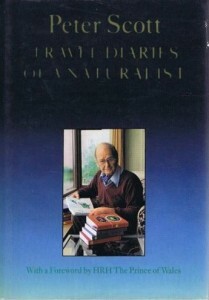 Buy Travel Diaries of a Naturalist Volume I on Amazon.